Spring is officially here, which means that in the next coming weeks, students will have a break from school. During that short time of relaxation, Crunchyroll has a slate of anime titles that you’ll be able to binge. Some of the new ones are premiering on Crunchyroll and are already available, with some more releasing in the next coming days. Aside from the already available anime titles for the spring slate, others releasing soon on the streaming platform include Sarazanmai and Bungo Stray Dogs 3rd Season. Sarazanmai follows three middle school students Kazuki Yasaka, Toi Kuji, and Enta Jinnai. One day they meet a mysterious Kappa-like creature named Keppi who ends up stealing their shirikodama and transforms them into Kappas. Keppi tells the three new Kappas that if they want to return to their original form, then they must fight zombies and take their shirikodama. Saranzanmai is a story about three boys who each have trouble connecting with those that are important to them, and having them learn about how to do so. 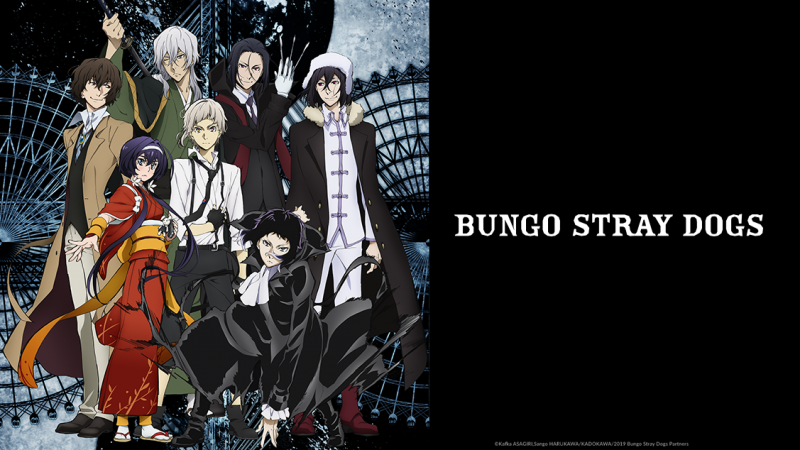 In the third season of Bungo Stray Dogs, the White Tiger and The Black Beast – Nakagawa Atsushi and Akutagawa Ryunosuke’s fight against Francis F. finally bringing an end to the war against the guild. The continued truce between the Armed Detective Agency and the Port Mafia, who worked together to save the city from ruin, allows for life to continue normally in Yokoyama. Dazai Osamu had premonitions of another potential disaster. Hiding in the shadows is Fyodor D., leader of an organization known as Rats in the House of the Dead, whose dreadful plans will soon become a reality. Sarazanmai will premiere on Crunchyroll starting April 11th, while Bungo Stray Dogs 3rd Season will premiere on April 12th. The post Crunchyroll announces upcoming anime for spring slate appeared first on Nerd Reactor.